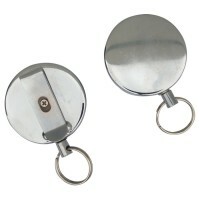 Our heavy duty ID badge key reels are made from a lightweight, industrial strength chrome metal and heavy duty, rugged plastic that won't warp from the heat. 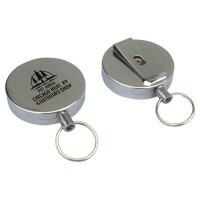 These Custom Heavy Duty Badge Key Reels Come Printed with Your Logo or Text in One Color on the Front. These are high quality and wear-resistant yet still affordably priced because we pass the factory direct savings onto you! Want them blank? click here. In-Hands Deadline (date you need these by)? 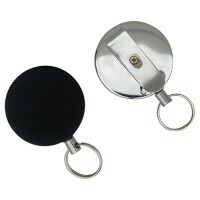 Custom Heavy Duty Badge Key Reels Sturdy Black Plastic Front and Heavy Duty Metal Back with Metal Clip and a Key Ring on a 26" Retractable, Wire Cord. 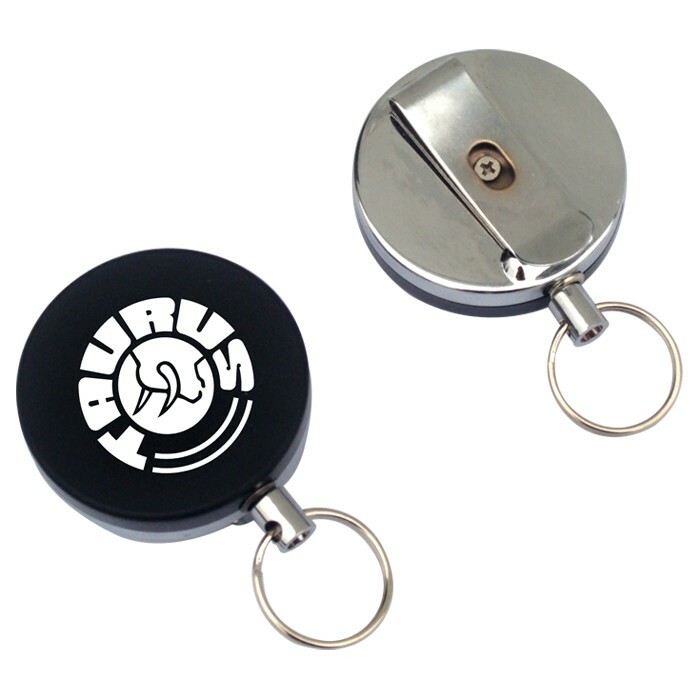 Printed with your logo/design/text in one color making them perfect for branding, promotions and identification and industry use! High Quality Metal and Plastic that Won't Warp from Heat. Highest quality spring wheel for FAST action retraction that will last a lifetime. 26" Length wire cord with a key ring encased in a 1.5" diameter wheel with clip on back.